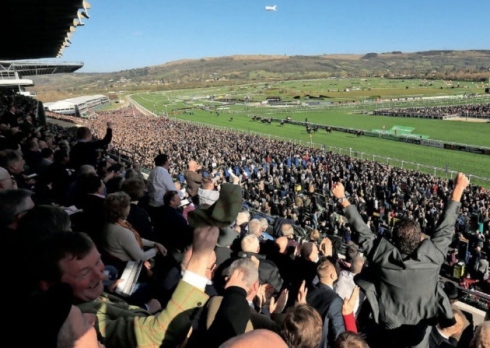 It’s the opening day of the 2018 Cheltenham December Meeting this Friday (14th December) with FOUR LIVE ITV races from Prestbury Park. The Gordon Elliott-trained Synopsis is sure to be popular if making the trip over from Ireland with the yard having a decent 16% record with their chasers at the track. Only two previous runnings of this but trainer Evan Williams won the race in 2016 so anything he runs should be noted – he’s got Skewiff and recent Sedgefield scorer Inch Lala entered at this stage. Silent Steps with a light weight and the consistent Rebel Yeats are others to note. Pulling Power is another that a case can be made for but does have a bit to prove off this mark. THE BAY BIRCH (e/w) could be the answer though. This 7 year-old was a much-improved third last time out at Newbury in what looked a slightly better race than this and is only a pound higher. He won’t mind any give underfoot and we know he stays a bit further than this 2m 4 1/2f trip which will be a plus up the Cheltenham hill. Add in that he’s also run well over fences at the track then that course experience gives him another thumbs-up. Plenty of old faces here in a race that will have many chances. 14 of the last 16 winners had raced in the last 4 weeks though, while previous course experience is another plus. 11 of the last 16 winners have also been aged 8 or younger so there’s plenty to like about last season’s Ultima Chase winner at the Festival COO STAR SIVOLA (e/w). His form at the track is decent 2-3-1-6-4-3-2-4-1, plus any further rain won’t be an issue. After two recent runs he should be spot-on for this and Lizzie Kelly is able to also claim a handy 3lbs. Singlefarmpayment is always popular in races like this at the track but just doesn’t win enough for me. The consistent Theatre Territory is another to consider with a light weight and should have a say, but the other one of interest is the Alan King-trained KERROW (e/w), who was set to win last time out until falling at Bangor. He’s up 5lbs for that but is lightly-raced over fences (5 runs) and the way he travelled into that race suggests there’s more to come. Another race with plenty of old faces for this Cross-Country contest. Bless The Wings took this in 2017 and often goes well in these events. Even at the age of 13 he’s respected and looks a solid each-way call after blowing away the cobwebs to be fifth here last month. JOSIE’S ORDERS took this race in 2015 and represents the powerful Enda Bolger yard that have a great record in the race. He beat Fact Of The Matter by ¾ of a length last time out and based on that running should be a leading player again and rates the safest option. Bolger could also run My Hometown, who gets in with just 10-1 and could be dangerous – any support in the betting should be noted. Fact Of The Matter was having his first competitive race over these fences so can be expected to improve for the experience so can’t be ruled out for the Jamie Snowden team either, while Ballycasey could be interesting for Willie Mullins is taking to the course. These races generally go to those with proven experience though so Josies get the nod. The interesting one here is the Paul Nicholls-trained WORTHY FARM, who gets in with a very light weight and looks unexposed. This 5 year-old won at Taunton last time out despite hanging left in the closing stages. He did it that day with 11-10 on his back but will have a lot less to lump round in this better race and with only three runs over hurdles will have more to come. Yes, that hanging last time is a slight concern, but connections are sure to have worked on that since – there is every chance he is much better than his current handicap mark of just 124 – Harry Cobden, who rode him last time too, continues in the saddle. The in-form Nicholls, who won this race in 2011, also has proven course and distance winner – The Eaglehaslanded – in the race and can’t be ruled out either. Great Trango is an interesting Irish runner that had only finished outside the top three once from seven starts over hurdles, but the other of interest is the Nigel Twiston-Davies-trained GOODBYE DANCER (e/w). The yard took this race 12 months ago so clearly like to target it and a recent third at the track was a sign that this 7 year-old is running into form. He gets in here off the same mark, so another bold bid looks on the cards.